Macanta partners with True Assessments to deliver our assessment services. True Assessments automates the assessment process therefore minimising the impact on your day-to-day operations. True Assessments is a cloud-based simple and clean survey interface with a sophisticated statistical engine and role based surveys to ensure objective results. • Assessments are consistent, repeatable, accessible and more cost effective to provide. • It has the ability to poll a broad range of people across an organisation. Such a depth of poll allows for a far more realistic view on the operation of what is being assessed. • The use of a software engine enables complex analytical algorithms to apply the scientific techniques described below and remove the absolute dependence on the skill of an individual consultant. – Triangulation. This research technique is used to cross-reference information received from three sources. – Inferential Statistics. This method of analysing data is employed to derive scores and ratings from samples. – Realism. This research approach recognises that information can be drawn from sources that lie somewhere between absolute fact and conjecture. • A workflow driven approach to conducting the assessments through a series of easy to manage phases. • Provides a platform for conducting complicated and detailed assessments quickly and effectively and without the usual requirement for highly experienced consultants to facilitate the process. • A simple interface for the assessment facilitator to manage the assessment and communicate with the client. If you answer Yes to any of the above, then our ISO33000 assessment is for you. Many businesses struggle to develop IT and business strategies that work hand in hand with Corporate Social Responsibility (CSR). Often that is because IT tends to focus on technology alone. eco-ITSM brings sustainability across the whole service lifecycle and achieves constructive organisation-wide change. Until recently, sustainability was mainly an environmentalist concern. Now it is a key component of the CSR Policy of your organisation. Moreover, it is directly linked to increased productivity and profit. Most green IT initiatives are technology focused, whereas the eco-ITSM focus is on process. Process improvements that include sustainability considerations will change behaviour across the organisation. eco-ITSM focuses on the solution – not the problem! Your positive approach to sustainability will enhance your reputation and brand and your ability to enter new markets. eco-ITSM is an innovative and effective service offered by Macanta Consulting. It uses best practice IT Service Management to facilitate your sustainability objectives. It assesses the sustainability of your Service Management processes across the lifecycle to minimise costs, reduce waste and reduce carbon emissions. It provides a baseline from which to drive and measure improvements in sustainable processes. Recommendations are prioritised and quick wins identified. Assistance with the process improvement project is provided. The assessment is automated therefore minimising the impact on your day-to-day operations. The assessment is a cloud-based simple and clean survey interface with a sophisticated statistical engine and role based surveys to ensure objective results. Why do I need an eco-ITSM service? Do you need to reduce your carbon footprint? Do you need to reduce costs? Do you need to improve your brand and reputation? Do you need to attract and retain good staff? Do you need IT to be more sustainable? If you answer yes to any of those questions then you need the eco-ITSM service. eco-ITSM will show you how you can utilise your existing service management processes to incorporate sustainable practices that will reduce your carbon footprint whilst also reducing cost. It will enhance your brand and enable you to attract and retain good staff. I have a Green IT project. Why do I still need eco-ITSM? Your Green IT project(s) will most likely include data centre consolidation, virtualisation, recycling, data de-duplication, power management and so on. Most of these activities are reactive to a growing carbon footprint. eco-ITSM takes a proactive process approach that will embed sustainability into day-to-day operations. It will ensure that you are not constantly reacting to the increase in energy consumption. Prevention is better than cure. “The sustainable way to decrease carbon emissions is by improving workflow. In this way, IT can contribute to reductions across the business, and not just in IT” (Chris Ingle, Research Director, Analyst House, UK). Growth: eco-ITSM enhances your workflow and processes to achieve the greater efficiencies required to drive business growth. What will eco-ITSM give me? eco-ITSM will provide you with a lens on your existing (and to be) service management processes from a sustainability perspective. An output of the eco-ITSM service is a detailed management report of recommendations, priorities and quick wins. It will provide you with a process improvement road map and a baseline from which to measure improvements. Macanta can provide on-going support for your eco-ITSM journey if you wish us to. Why and when should I start? The decision to undertake an eco-ITSM service could be initiated by many triggers. These could include legislation – pending or active – pressure from the CEO, CFO, sustainability team, Corporate Social Responsibility policy makers, customers, employees and so on. However, we would recommend that you undertake this service before you embark on any further major process improvement initiatives so that you embed sustainability now rather than later. Our approach is to align the eco-ITSM service with your vision, goals and objectives. We will work with you to determine your scope. Using our portal the assessment is automated and therefore has minimal impact on day-to-day operations. The assessment consists of statements that enable an organisation to assess and measure sustainability maturity, which is then linked to a genuinely unique knowledge database of observations and recommendations. The recommendations are produced based on the unique outcomes of a set of surveys including comparisons between the different aspects that have been measured. An organisational profile is conducted as every organisation is different. This allows suitable weightings to be applied to both survey questions and metrics. Survey results are presented using the service management process maturity framework (PMF) both at a process level and service lifecycle level. The results can be presented to key stakeholders in a workshop environment to get agreement on the findings and commitment to a service improvement plan. Will the eco-ITSM service disrupt my business-as-usual activities? Macanta conducts the eco-ITSM service with minimal disruption to your day-to-day activities as the assessment is automated with surveys completed online. Yes. If you wish to assess a selection of processes or stages of the of the lifecycle, eco-ITSM can be scaled accordingly. We will work with you to determine the scope of the service that best meets your needs and objectives. Why should I engage Macanta? The eco-ITSM service was developed based on many years of experience in the Service Management industry, extensive research, and a desire to enable organisations to utilise their existing frameworks to drive improved sustainability across their organisation. Macanta is passionate about reducing the impact that IT has on the environment and demonstrating that you can use what you already have to meet the challenge. We are the first organisation to provide this innovative service that is changing the face of Service Management, as we know it. Drop us an email or give us a call and we can discuss your specific requirements. Macanta provides an ISO20K assessment that measures the conformance of the IT Service Management capability against the requirements of the ISO/IEC 20000-1:2011 international standard. Surveys are web based, designed to significantly broaden the data collection footprint, minimise disruption to the client and minimise data collection time as well as costs. Baseline – includes all aspects of the assessment (Perception survey, Workshop, Process Assessment), and output of a detailed report of all score outcomes, observations, and improvement recommendations (Journey Plan). Note: 15 modules are available – 14 process areas plus the Clause 4 SMS general requirements. Provide a baseline measurement to help drive any ITSM or continual improvement initiative, supplemented or used in conjunction with the ITSM (ITIL® 2011 edition) and/or eco-ITSM® assessments, also provided by Macanta. The assessment portal is designed to manage complicated assessments efficiently and cost effectively, while minimising the impact to the organisation being assessed. The specialised multi-dimensional role-based surveys and knowledge base of observations and recommendations are drawn from the significant expertise of our ISO20K Assessment cartridge development partner. The cartridge allows an organisation to assess and measure the service management system (SMS) capabilities and processes against the ISO20K standard. The results trigger observations and recommendations based on the survey outcomes including comparisons between the different aspects that have been measured. Skills Framework for the Information Age (SFIA) is one of IT industry’s best-kept secrets – it’s beauty lies in its applicability. As a proud partner of SkillsTx, we can offer organisations and individuals easy access to the power of SFIA. Whether you have 10 people or 250000 people, SFIA can bring significant benefits. If you simply want to understand what skills you have and potential gaps, SkillsTx Assess is for you. If you are looking top confirm what skills you need, develop Role Profiles / Job Descriptions and implement it within your HR, recruitment and business processes, look to SkillsTx Define. SFIA is recognised in nearly 200 countries and used by a rapidly growing number of organisations – large and small. 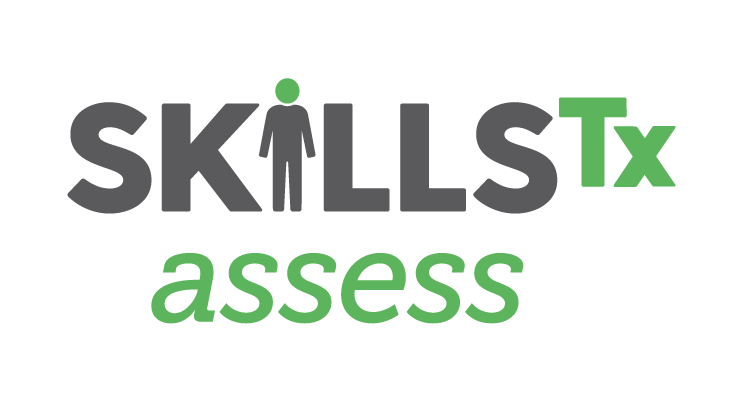 If you’re simply wanting to understand what skills you have and potential gaps, SkillsTx Assess is for you. 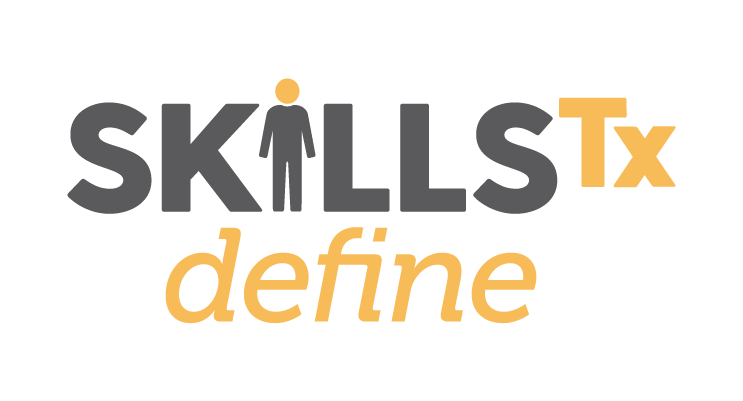 If you are looking to confirm what skills you need, develop Role Profiles / Job Descriptions, and implement it within your HR, Recruitment and Business processes, look to SkillsTx Define. Individuals complete the assessment online and receive a detailed objective report outlining their current level of responsibility and accountability, plus a detailed breakdown of the selected skills with associated level of skill and a definition of skill level achieved. Once individual self assessments are completed, organisations can generate an organisational assessment report, where skills at an organisational level are compiled from the individual skills profiles. This provides a rolled-up view of skills balance, gaps, risks and potential improvement areas. 360° validation options, including Manager and/or Co-worker validation of SFIA levels of responsibility, to augment data quality and consistency. Also supports full skills validation by SFIA Accredited Consultants. Using the flexibility of Microsoft Power BI analysis see at a glance the skills you have. Immediately identify candidates for a project or bid team, for example. Check the skills within teams and locations with flexible filtering for self-rated and/or validated skills. Each individual can display and manage their own SFIA skill profile using our NEW SkillsTX Planner dashboard. You can view your self-rated and validated skill profiles and update your self-rated skills as they change. The whole SFIA framework is available with ‘hover over’ descriptions. Make the developing of role profiles and job descriptions a painless exercise! No previous knowledge of SFIA is required; you can create a tailor-made SFIA-based role profile or job description in minutes! Produce Individual “Development Assessment” Reports for each member of staff, showing how well they match to the defined Roles/Jobs – invaluable for informed career development planning, and identifying relevant training & other development interventions. This is extremely effective as part of a Continual Professional Development, Performance Appraisal or Training Needs analysis. Identify and rank individuals with a skills match to a Role Profile or Job Description (uses self-assessed and validated data). In addition to Skills Analysis our Analytics feature opens up the ability compare your workforce with your skill requirements as defined by your job descriptions. Quickly find potential candidates that match Job requirements and find skill gaps. Our NEW SkillsTx Planner dashboard when combined with our Define product allows individuals to relate themselves to their current and possible future job and shows a percentage match. The job profile can be overlayed with the individual’s own skill profile to highlight gaps and provide the basis for career development planning. A very powerful feature to help ensure training and skill acquisition is effectively targeted.